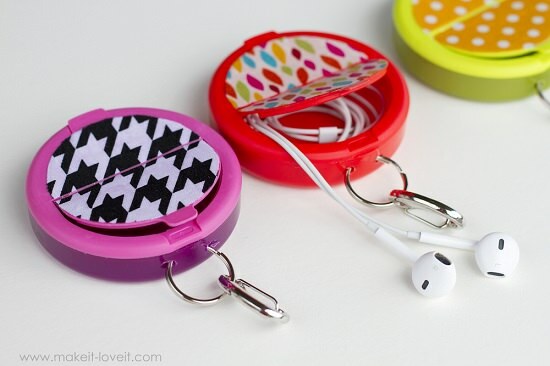 Here are 20 fun and easy DIY earbud holders to keep your music tangle free! 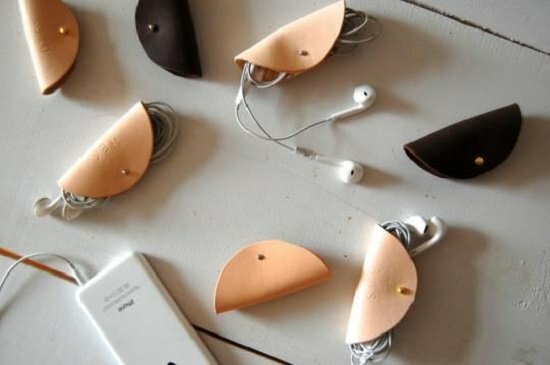 Inspired from the neat folds of a taco shell, this cute earphone holder combines style and purpose in equal measures. Watch the video above to learn how to make it. This cute hooded cover means you can take your phone everywhere without worry, and the velcro strap in the front for your earphones just makes it perfect. This neat little case with button accents is a beginner-level sew project that is easy to follow with the help of above video tutorial. When in doubt, get down to the basics, stick two pieces of cardboard to a cap, and you have a travel-friendly case that keeps your earphones secure. Check the tutorial on YouTube. 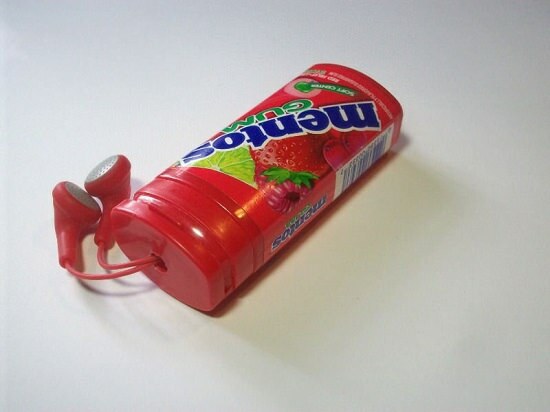 If you have empty mint containers lying around your drawer, take a little help from makeit-loveit to upcycle them into chic homes for your earphones. 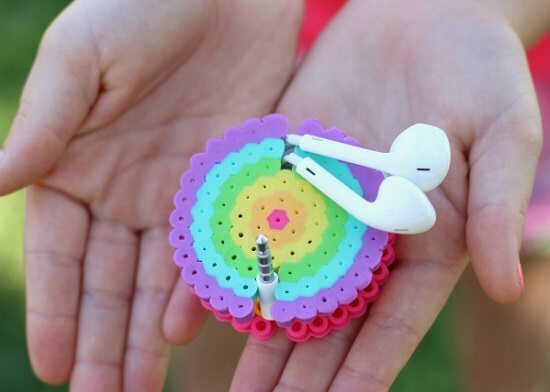 With foam sheets, hot glue and a little crafting tricks, you can make this cool, handy earphone organizer that is super easy to use on the go. 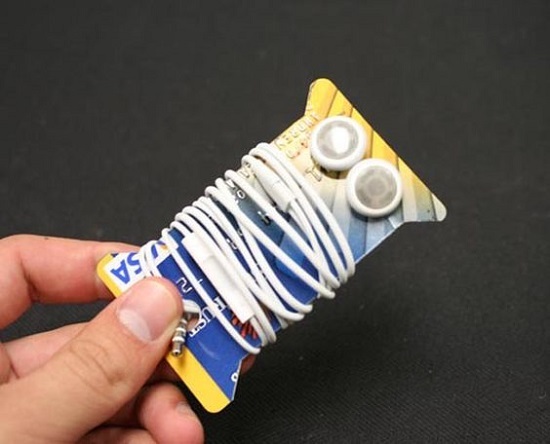 If credit cards keep reminding you of your impulse-shopping sprees, this little DIY will give you an alternate usage that lets you save some hassle for a change. This kid-friendly project doesn’t just keep the cords safe and tangle-free but also helps identify which one belongs to which in a fun, color-coded fashion. 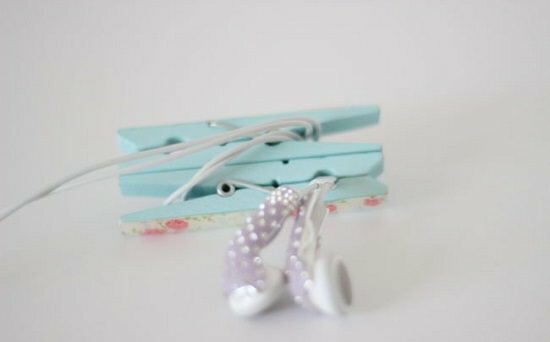 If you think about it, clothespins are the best kind of firm clasps for keeping your earphones from turning into a tangled disaster. 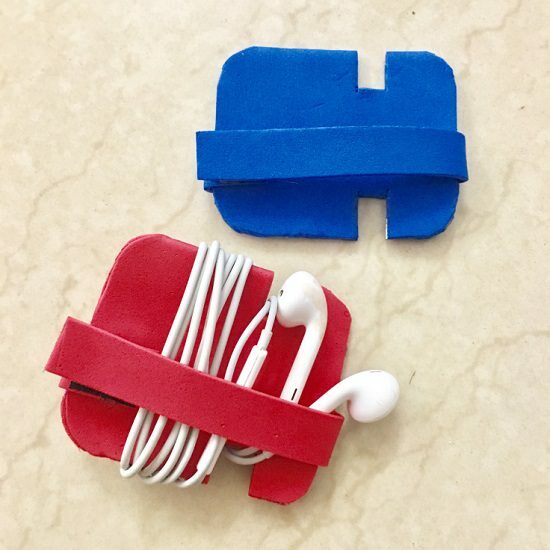 Visit here to learn how to this DIY earphone holder. If you have a tic tac container laying around, this is the best way to upcycle it. All you need is fabric tape to make this DIY. 11. DIY Earphone Holder From Old Notebook! Watch the video above to learn to recycle old notebooks into something that will never go out of use or style ever. 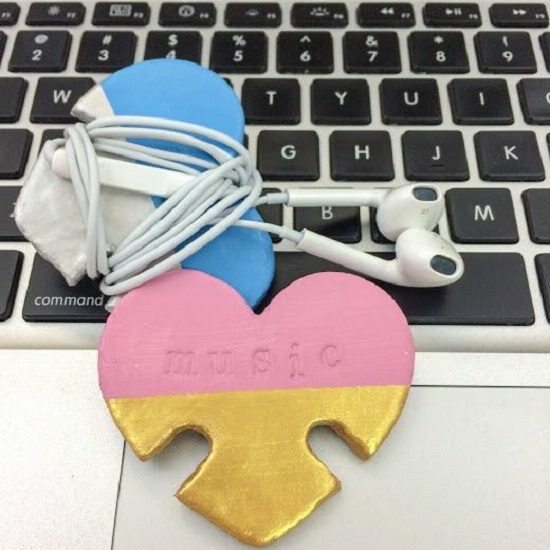 Made of air-dried clay, this heart-shaped earphone holder is for those who like pretty stuff but with a quirky touch. Hands down, this is the best way to put your favorite gum container to use. Check out the tutorial on Instructables. 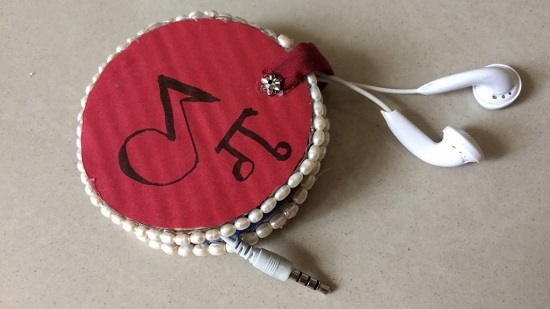 If you have some basic sewing skills, you can easily make this cute DIY earbud holder from scrap cloth. Here’s the detailed tutorial along with a printable pattern. 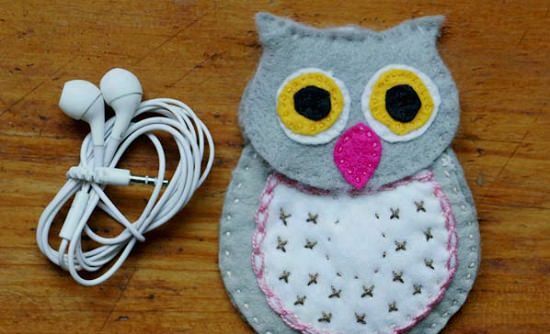 The warm and fuzzy feel of this felt owl case offers a cushioned home for your earphones. 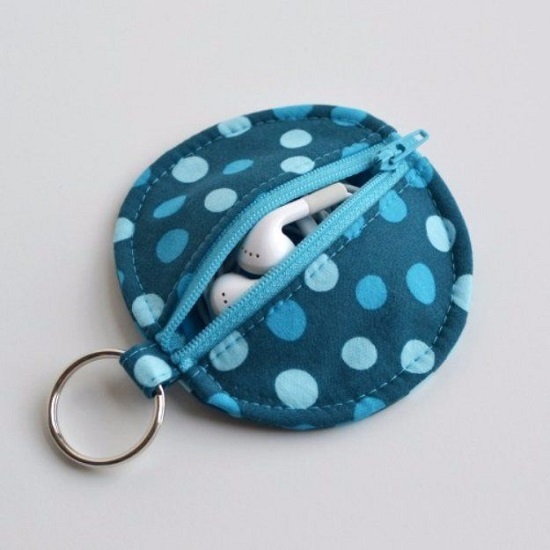 This cute and basic earphone holder is easy to tuck in your smallest purses and takes no more than scrap bottle caps and hot glue to make. 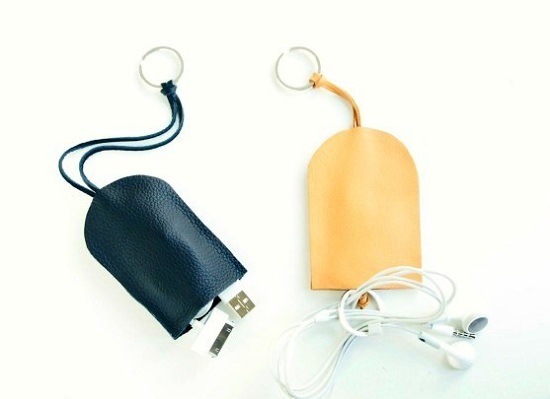 A keychain that doubles as an earphone holder is a win-win for everyone who likes to travel like a minimalist. More on it here. 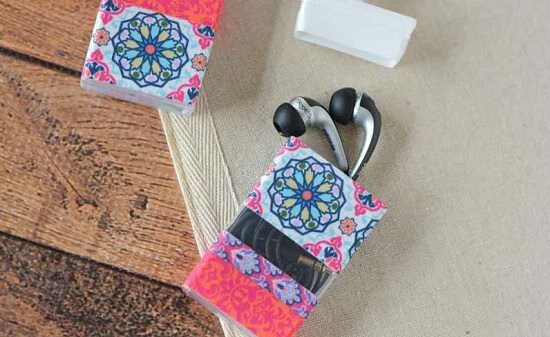 The best thing about this DIY earbud holder is that it is easy to follow and brings out a polished result that is good enough to give away as a gift. Check the tutorial on yahoo. These clay oreo earphone holders are sure to invite smiles and stares every time you whip them out of your handbag. Watch the fun video tutorial above. This trendy earphone holder goes with your coffee-loving mood and is easy tuck in the smallest of tote bags.